*I was provided with complimentary tickets to see the show, but as always all opinions are my own. Last week I had an email pop in to my inbox that got me all excited! 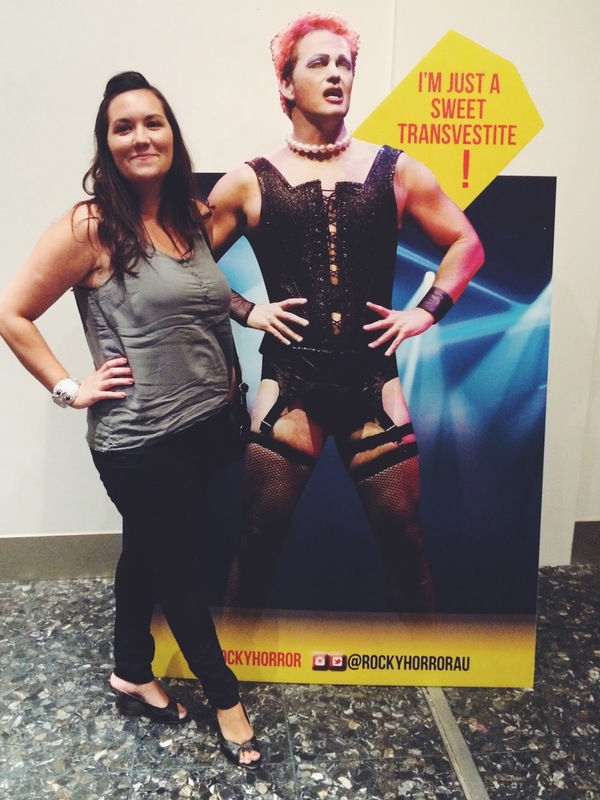 Did I want to go and see the Rocky Horror Show Live at Crown Perth? Hell Yes I did! I'm a bit of a closet Rocky Horror fan, you probably wouldn't guess it from looking at me, I mean, I don't cruise around in red lipstick, fishnet stockings and a corset, but, I'm a bit of a fan! In fact, I know the words to most of the songs, and I definitely know the moves to the Time Warp. And every time I say Dammit (which isn't actually very often, not surprisingly) I always think 'Janet, I love you' immediately after! So last night, a friend and I headed out to the Crown Theatre in Perth for the Opening night of the 40th Anniversary Production of the Rocky Horror Show. It isn't the first time I've seen Rocky Horror live, I remember going with my parents when I was pretty young, maybe 12 or so, and I did not get any of the innuendo at all, it must have gone right over my naive little head! Even still, I remember distinctly feeling quite awkward...I mean, I was with my PARENTS!!!! But, this new show is AMAZING! I loved it! The actors were fantastic, the set was so great, the music from the live band had the whole audience rocking in their seats, and out of their seats for the encore to the Time Warp. I immediately felt drawn into the story as I was encapsulated by the loud Rock n Roll musical scores, they certainly set up a great atmosphere. It took everything within me not to jump up and start doing the Time Warp with the cast! Although, in hindsight, I should have just done it, the usher in the aisle certainly wasn't holding back! 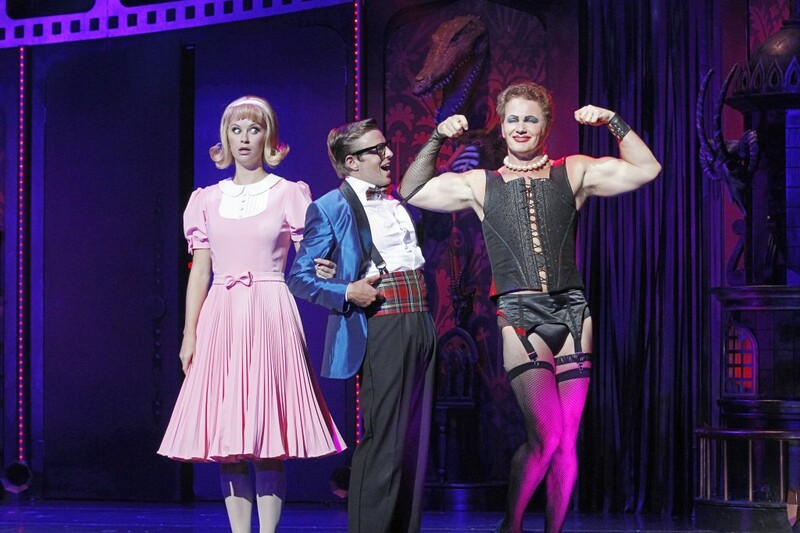 By far the best part of the entire show, in my opinion was Craig McLachlan as Dr Frank'n'Furter! He had the audience in histerics! His timing is immpecable, his physical comedy, and the way he fed off of the audiences reactions was hilarious! Not to mention, what a great voice!! He really steals the attention from the moment he prances out on to the stage, wiggly bum and all! Really, all the other cast members were really great, and I especially loved Tim Maddren (from Hi-5) as Brad and Christie Whelan Browne as Janet, the picture of American innocence. And, well Rocky, I mean, its hard not to love Rocky isn't it! I mean, have you SEEN Rocky? Just saying! They stuck pretty close to the original story line, it wasn't some abstract take on the original! The bedroom scenes with Brad, Janet and Frank'n'Furter had the audience almost in tears, it was so clever and witty the way it was performed! I won't give too much away, I just think its worth seeing it yourself! Yes, if you are familiar with the Rocky Horror Show at all, you would know it is a little rude, and if you are offended by such things I suggest avoiding it, but if you can have a laugh with the Transvestite from Transexual, Transylvania then you will thoroughly enjoy yourself. Even though I didn't dress up in a corset for the show, it is pretty great to see the real die-hard Perth fans in their costumes and makeup, and then bumping into them all wandering around the Crown Casino afterwards, or a whole table of them having dinner at the Merrywell!! It really makes the whole night a lot of fun to see the audience really getting into it and enjoying themselves! What a fantastic night out!! 2 comments on "It's Just A Jump To The Left: The Rocky Horror Show in Perth"
It's seriously so much fun!!! Do it!! !